Aquatics have been a fixture in my life for almost my entire existence. I excelled as an “8 and under” on my local summer swim team and couldn’t get enough. As a result, I joined the Lake Erie Silver Dolphins and began my adventure as a year round swimmer. The next step was joining my high school swim team where I set multiple school records, become the team captain and Most Valuable Swimmer. With that experience under my belt, I earned a spot on the John Carroll University swim team, where I earned high point awards, All-Conference recognition, swimmer of the week, a school record and, my most coveted honor, team captain. Once I graduated from college, I knew that couldn’t be the end of my swimming career. This was a lifelong sport, after-all! That is where I got my first taste of USA Masters Swimming while in Graduate School. As a member of the Kentucky Wildcats Masters Team, I earned 3-National Championships and multiple meet records. Throughout every team and experience, I made friendships that will last of lifetime and I feel as though this is the most amazing aspect of the sport of swimming. I want others to get to experience this type of connection and passion in their lives. I credit much of my success in school to swimming since it taught me discipline and time management skills. My most recent endeavor has been the sport of triathlon. Having a swimming background has put me at a major advantage over most triathletes who are scared to death of the water. With 3 IRONMAN finishes and 4 X 70.3 finishes, I have a passion for open water swimming and teaching athletes how to fine tune their techniques in open water environments. Due to the fact that I fell in love with swimming, I naturally decided that lifeguarding would be a solid fit. I become a lifeguard and lessons instructor and eventually added coaching to my resume. I started coaching summer league and then gradually added high school, USS and Masters Teams to my coaching collection. In addition, I was an Aquatics Graduate Assistant at the University of Kentucky which led to further certifications in the realm of Aquatics. I was a certified LGI (Lifeguard Instructor), Water Safety Instructor (WSI) and also taught and certified students in CPR/First Aid and AED. Hi there! 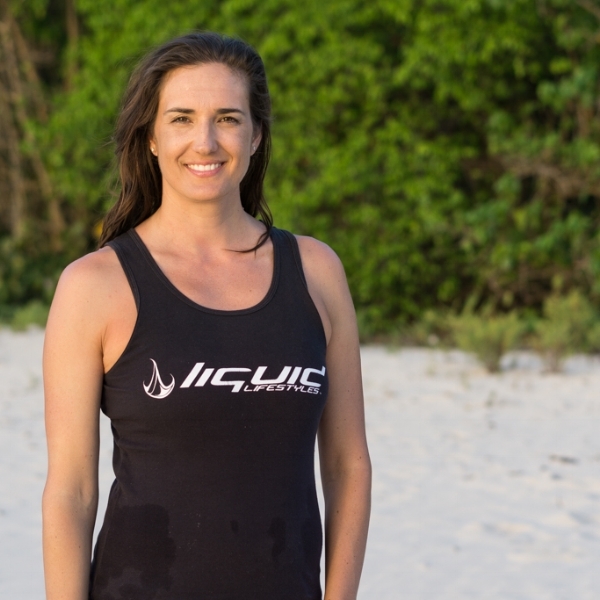 My name is Madeline Bartley and I joined the Liquid Lifestyles team of coaches in June of 2016. I am originally from Forest Grove - a small town near Portland, Oregon - where I started swimming at a very young age. I swam competitively on the local swim team for 6 years before heading off to a small school in Missouri called Cottey College. After I moved back to Oregon, I realized that I loved helping people learn how to swim and feel comfortable in the water, so I decided to pursue coaching on a more professional level. I really enjoyed my time working at the local aquatic center as a swim lesson instructor, assistant Swim Club coach, and assistant High School coach. When my husband and I decided to move across the country to Cleveland I was excited to be able to continue doing what I love doing most with Liquid Lifestyles. Liquid Lifestyles has such a great vision for teaching even the most novice of swimmers how to swim smarter and more efficiently. I am proud to work with all of the other coaches here who share that vision. Helping people learn how to swim or just improve their swimming and also develop a better relationship to the water is something I love doing; I am so blessed to have this as my job! My hobbies include: Hiking, cooking, watching movies, taking pictures, swimming (of course), crocheting, painting, singing, and cuddling with my dog. Currently not available for group classes. Age Group, High School and Collegiate swimmer. 4 year All-American at NCAA Div II Nationals. Competed in many national and international meets in Europe and USA. Head Age group coach for HEAT and CFYN Tigersharks. Lake Erie coach for Open Water Team. Vanja was born in Zagreb, Croatia. His love for swimming began from and early age of 3, but Vanja started swimming competitively at age 10. He became Croatian National Champion in 200m, 400m and 1500m both short course and long course for 11-12, 13-14 and 15&O age group. As a member of Croatian National Swim Team, Vanja competed at Youth Olympic Days, European Junior Championships, Mediterranean Games and many dual meets between Croatia and other European countries. After arriving in US, as a High School swimmer, Vanja earned North Dakota state championship titles in 200 and 500 free and 200 medley relay as a butterfly leg. During college, Vanja was a National Team Member for Missouri University of Science and Technology (Missouri S&T) swim team and competed at NCAA Division II Nationals every year. He earned All-America Awards for 800 free relay as well as the individual All-America in 500 and 1650 yard free. in 2014 Vanja was inducted to Missouri S&T Sports Hall of Fame. Within all swimming accomplishments, Vanja earned his Doctorate in Mining Engineering and Geophysics and has worked in Earth Science field. 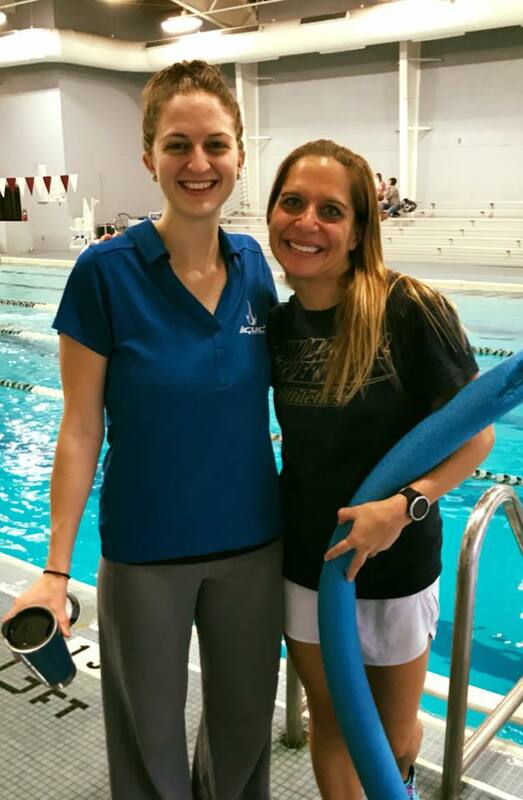 Vanja's coaching and teaching specialty are age group swimmers as well as adults . He loves teaching all strokes in the pool environments as well as open water swimming. All levels of swimmers are welcome, as Vanja enjoys teaching the art of swimming to all. His ultimate goal and favorite thing about coaching, is for people to enjoy the water and feel comfortable. 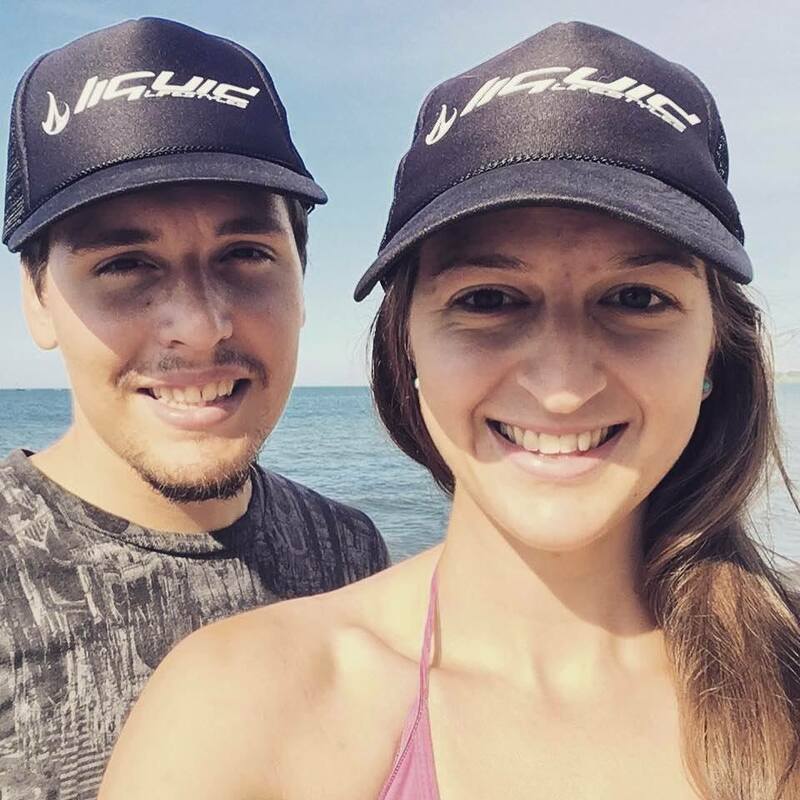 Besides teaching swimming with Liquid Lifestyles Vanja isHead Coach for the CFYN Tigersharks Swim Team in Cuyahoga Falls, OH. Other than coaching, Vanja loves to spend time with his family, dogs and friends, hiking and traveling. I swam competitively at Euclid High School and then at Wright State University. I have been coaching since 2014 at Five Seasons swim club, Kettering YMCA and Magnificat High School. Before joining Liquid Lifestyles®, I was the Learn-to-Swim Director at the City of Wickliffe. Backstroke. You can breath whenever you want! Home remodeling, interior design, landscaping and power tools are my creative escape. I enjoy both large-scale and small-scale DIY projects and my house is constantly under some sort of home renovation undertaking. Asking for a drill press or Dremel for Christmas would be not be out of the ordinary. If I had an hour to do anything I would probably find something to organize or clean. Except laundry. With 3 young boys, laundry is my kryptonite. No matter what I do there’s always still a pile. My first and last triathlon was when I was 14. Mermaids aren’t very good at land activities. I held an Avon Lake HS record in the 200 IM for over 17 years with a time of 2:22.53. Swimming will always be a cornerstone of who I am. At the age of seven I joined the local swim team and excelled in the freestyle and backstroke events. The reality of bringing home a medal at the YMCA State Championships that first year was enough to get me hooked. I dedicated myself to the sport for the next eleven years. As a result of quality coaching and exceptional skill-based training I experienced the excitement of competing in the Ohio high-school state championships, winning conference titles, and setting high-school records. My most influential swimming experiences developed under the direction of two prominent Total Immersion head coaches, Gary Fahey and Gene Mills. Their extensive knowledge of the sport, cutting-edge technique training, and thought-provoking practices were the impetus in my desire to succeed and subsequently coach years later. Despite our less-than-ideal training conditions; a pool that’s water was murky at best, temperatures that fluctuated daily, and air that hung low and thick, our coaches taught us how to find inspiration in ourselves and turn weaknesses into competitive strengths. The “Last Resort,” as we called it, became our experimental lab for developing new techniques, drills and kinesthetic awareness. Most importantly, we were encouraged to work with our teammates daily. We tested, analyzed and creatively communicated with each other new ideas –constantly in pursuit of a competitive advantage. Never settling with “good enough” our team soon dominated the local swim scene. At the age of fourteen I volunteered as an assistant coach on our local summer rec. team. Using the core principles of self-discipline, responsibility and patience we explored innovative solutions to solving some of swimming’s most puzzling questions. The following year I experimented with these non-traditional training techniques privately, offering lessons to children that required more specific, goal-oriented instruction. By the third summer my parent’s backyard pool had become the local hub for summer swimming lessons. Happy children and pleased parents spread the word quickly and it wasn’t long before I was averaging 45 hours per week of private lessons and loving every minute of it. After graduating from Miami University in 2004 with a degree in architecture, I announced my profound desire and dedication to swimming and pursued a full-time career in coaching. Collaborating with Total Immersion’s founder, Terry Laughlin, I was invited to become a licensed instructor of their internationally renowned training techniques and assumed the position of Regional Director in the Midwest. From Seattle to Dallas from New York to San Juan, I’ve worked side-by side with some of the nation’s best coaches while exchanging ideas and continually learning unique methods for improvement. To have discovered a career path so early in life that I can embrace with enthusiasm each day is very fortunate. 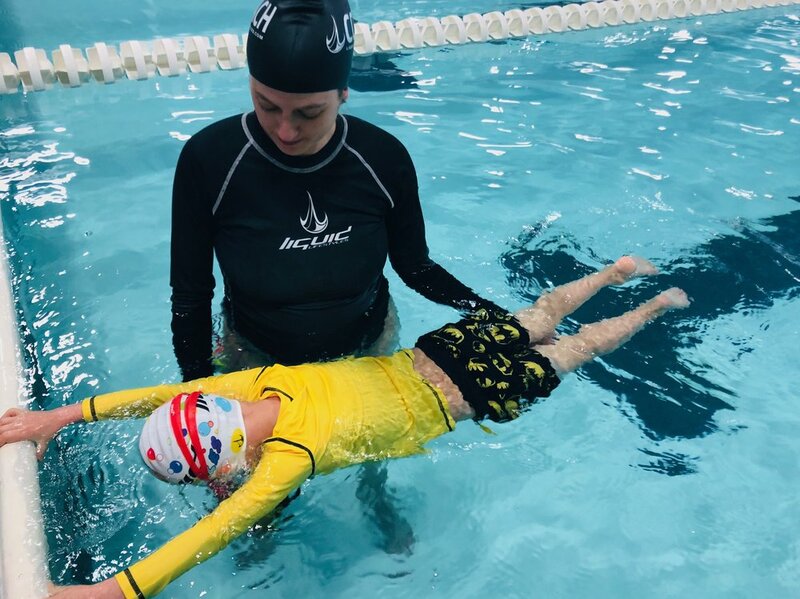 It’s exciting and rewarding to work with swimmers of all ages and ability levels; students from non-competitive backgrounds, multi-sport athletes, adults with water phobia and children just learning their ABC’s. I find the teacher-student symbiotic relationship enlightening; continually awakened and constantly intrigued by the various learning styles of individuals. There is never a shortage of new questions and coaching challenges, however, with well-guided swimming advice, a bit of intuition and a willingness to investigate together we will find uniquely creative solutions to solving YOUR swimming obstacles. Your swimming goals are attainable! Believe in yourself and anything is possible! Age Restrictions: Coach Kevin is full time coach for Cleveland State University Swimming and due to NCAA recruiting rules and regulations, cannot give lessons to high school age persons.